2 The people walking in darkness have seen a great light; on those living in the land of deep darkness a light has dawned. 3 You have enlarged the nation and increased their joy; they rejoice before you as people rejoice at the harvest, as warriors rejoice when dividing the plunder. 4 For as in the day of Midian’s defeat, you have shattered the yoke that burdens them, the bar across their shoulders, the rod of their oppressor. 5 Every warrior’s boot used in battle and every garment rolled in blood will be destined for burning, will be fuel for the fire. 6 For to us a child is born, to us a son is given, and the government will be on his shoulders. And he will be called Wonderful Counselor, Mighty God, Everlasting Father, Prince of Peace. 7 Of the greatness of his government and peace there will be no end. He will reign on David’s throne and over his kingdom, establishing and upholding it with justice and righteousness from that time on and forever. The zeal of the Lord Almighty will accomplish this. 8 The Lord has sent a message against Jacob; it will fall on Israel. 9 All the people will know it—Ephraim and the inhabitants of Samaria—who say with pride and arrogance of heart, 10 “The bricks have fallen down, but we will rebuild with dressed stone; the fig trees have been felled, but we will replace them with cedars.” 11 But the Lord has strengthened Rezin’s foes against them and has spurred their enemies on. The people of Israel walking in darkness is a powerful and frightening description. It describes the feelings of people who had long been prisoners in a foreign land. They could see no possible hope ever again. Isaiah, however, gives them relief, lifts from their hearts their heavy weight of despair and lack of hope. While centuries earlier, God’s people had been slaves of another enemy, Midian, for 7 years. God, then, appointed Gideon, a most unlikely hero, to free them (see Judges 7:15-25). It was such a wonderful surprise that the nation long remembered the story. Isaiah himself mentions it twice more (see 10:26 and 60:6). Prince of Peace – Christ is all Calm (see Philippians 4:7). But the present situation in Israel was not good and the people were not happy. God was angry because the evil behaviour of the inhabitants. Samaria is just another name for the northern part of Israel. The Northern Kingdom consisted of 10 of the tribes (excluding Judah and Benjamin). It lasted for about 210 years until it was destroyed by Assyria in 722 BC. Its capital was Samaria. Every king of Israel had been evil. 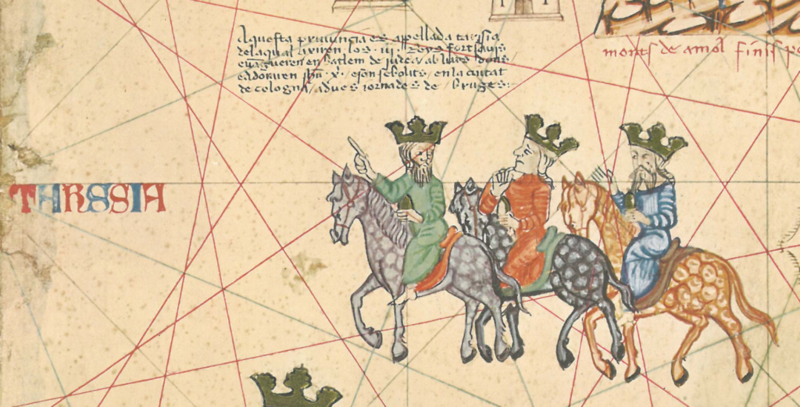 In the northern kingdom there were 9 dynasties (family lines of kings) and 19 kings in all. An average of 11 years to a reign. 8 of these kings met death by violence. King Rezin, responsible for Israel’s captivity resided in the Syrian capital of Samaria. God was going to take care of him by emboldening Rezin’s enemies. What are some of the periods of our own country’s history that the people lacked optimism and hope? What are the elements of a people (nation) that brings them hope? How has our God handled evil nations and leaders in the past? Why do you think that God’s history is dependable, that is, we can count on God doing similar things? 10 When they saw the star, they were overjoyed. 11 On coming to the house, they saw the child with his mother Mary, and they bowed down and worshiped him. Then they opened their treasures and presented him with gifts of gold, frankincense and myrrh. The Magi are also called kings and wise men. The term refers to the Persian priestly caste of Zoroastrianism. As part of their religion, these priests paid particular attention to the stars and gained an international reputation for astrology, which was at that time highly regarded as a science. Their religious practices and use of astrology caused derivatives of the term Magi to be applied later to the occult in general and led to the English term magic, although Zoroastrianism was in fact strongly opposed to sorcery. The star, most probably, was in fact an alignment of multiple celestial bodies. 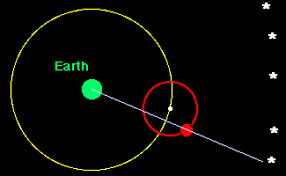 Movements often appear because of a term, retrograde 2, the orbiting of of circular or elliptical paths, canted on an angle and then transposed over each other. Astronomers use the term to refer to the occasional stopping or backwards motion of the planets as seen in Earth’s sky. When used in this way, retrograde motion is entirely an illusion caused by the moving Earth passing the outer planets in their orbits. When multiple objects align, they can appear to move, stop and even grow brighter. We must always remember that the universe is a design and even the alignment of stars and planets were part of God’s overall purpose. God knew the exact period in history to align constellations, stars and planets so that the magi would see the bright light in the sky and become part of Christ’s story. The magi would have been experts in celestial happenings. They would have known what constellations were showing and when an abnormality was occuring. So to add them to this story, we must believe that there was a “star-like” event that spurred their journey, only to be confirmed by their own observations. That the birth of Jesus was a special and great event, worthy of the divine purpose to have directed these men to find the place of his nativity. Like the Magi, God will guide those who are disposed to find Christ. Even as the star would appear and disappear, God will direct us in the way to His Son. Our being led to Christ should fill us with joy. He is the way, the truth, and the life; the Saviour, the friend, the all in all; there is no other way of life, and there is no peace to the soul until He is found. When we are guided to him, therefore, our hearts should overflow with joy and praise; and we should humbly and thankfully follow every direction that leads to the Son of God, John 12:35-36. Happiness is an emotion in which one experiences feelings ranging from contentment and satisfaction to bliss and intense pleasure. It generally comes from earthly experiences, material objects and is temporary. We can effect our happiness. Joy, however, is a stronger, less common feeling than happiness. Witnessing or achieving selflessness to the point of personal sacrifice frequently triggers this emotion. Joyful experiences are generally a surprize, connected to God or other people not under our control. Joy brings with it inward peace and contentment. It is a byproduct of a moral lifestyle and is lasting. What led you to search for Christ? How can we aid others in their search for Christ? What about our world and universe leads you to believe that the star of Bethlehem was real? What do the Magi add to the Christmas story? In other words, why do we know about them? What were the magi trying to tell us by their selection of gifts? How is your personal history with Christmas and Christ like the Star that led the Magi to Christ?